I have been attempting to send a reply to the first response (by Mrs S Lucas) on the Thank you Mr Narey. We hope Michael Gove and David Cameron are listening article over at Grandparents Plus by Sarah Wellard (posted on August 13, 2012 by Sacha Shabbir). Unfortunately, I haven’t been able to work out whether my post is being repeatedly ‘eaten’ by both Chrome and IE (cba to open FF to try, here’s easier) whenever I try to post it, or whether it has gone through and is simply waiting in a moderation queue, to be posted once deemed acceptable by the moderators (if so, I apologise to those same moderators for my repeated attempts to post the comment, since it means they’re going to have multiple copies sat in said queue). Thus, the following is the reply I was attempting to post – second version, since I thought about ctrl+a > ctrl+s about three nanoseconds after hitting send – just in case it doesn’t eventually show up over on the OP. Mrs S Lucas, you are, I presume, either an adopter, or a wannabe adopter? Or perhaps you’re both – a wanna-be-adopting-again-adopter? However, whether my presumption is correct or otherwise, I would be deeply appreciative if you could explain why it is you believe that legally severing a child from its own genealogical heritage can in ANY way be “the best option”? However, when answering, please don’t mistake my question as being a suggestion that children should remain within dangerous environments. I am merely questioning why you assert that a child should suffer legal death in order to be legally ‘re-born’ under an assumed identity, simply because their genealogical relatives have been judged unfit to care for them. Surely that is nothing more than a punishment inflicted upon the child for the crime of being born into a ‘wrong’ family? Yes, sadly, there are always going to be children who need to be raised by people other than their own kin, but I fail to see how inflicting legalised post-natal identity abortion upon a child can in ANY way be considered “the best option”? It is especially cruel to inflict such an irrevocable act upon a person these days, when there are other far less psychologically damaging options available. By far a “better” option than annihilating a child’s identity irrevocably is legal guardianship. After all, as even Martin Narey has said, adoption “essentially expires” at 18 years of age anyway, and since legal guardianship (which is far less destructive to the psychological development of a child than adoption has been repeatedly proven to be) can be granted to cover the same time period, adoption has now become an irrelevant act that does nothing more than causes unnecessary trauma and suffering. Further to this, adult adoptees are now fighting for the right to have their original identity restored. 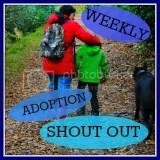 Some UK Adoptees have expressed this wish by creating an ePetition on the HM Government website, whilst in America – and being similarly fought for across most of the rest of the globe in places that practice adoption in a similar way to the UK – adoptees are choosing to be Adopted Back into their original families.